OnBike’s eBike SALE is now on! Clearance Electric Bikes in the eBike SALE at Hugely Reduced Prices! We have just a handful of ebikes on offer! Discounted prices range from 20% to 30%. There aren’t many, but each one is a top quality bike from a prestigious manufacturer! Make no mistake though, all ebikes for sale in the clearance are NOT second hand electric bikes, no. Some are brand new, whilst others have a mile or two test ride mileage on the clock only. Every single one is in mint condition! 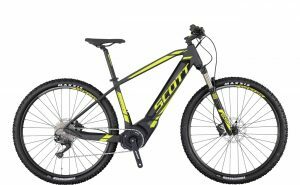 Within the clearance ebikes are SCOTT, KTM, Focus and Moustache. The frame styles are predominantly hard tail with the odd step through, road bike and full suspension electric mountain bike too. There’s only a few left at these amazing prices. If anything takes your fancy, please give us a call sooner rather than later! Why is OnBike Having an Electric Bike Clearance Sale? It’s that time of year when retailers like ourselves start to review their stockholding and make way for the season ahead. Electric Bike Sales in the Clearance: EVERY eBike Comes with TLC! The last thing we want is for potential customers to think that our eBike sale comprises second-class bikes. Absolutely not! Each ebike comes with every ounce of support and full 2-year warranty, just like any ebike sold from OnBike. Before being offered for sale, each ebike goes through a thorough, 26-point PDI (Pre-Delivery Inspection) and is built to British Standards by our trained mechanics. We simply DO NOT supply ebikes in boxes that haven’t been built, inspected or test ridden. Buy with confidence. OnBike is a bricks and mortar retailer based in Worcester, in the heart of the West Midlands. We offer free test rides (and coffee! ), so why not see what we’re all about and treat yourself to an ebike!